The City of Columbus is inviting property owners contiguous to the reservoirs to attend one of two public meetings about the Land Stewardship Program Update project. For more information contact Christopher Harper with the Division of Water, Watershed Management Section at 614-645-1721 or watershed@columbus.gov. Genoa Township voters resoundingly said no to a rezoning resolution and yes to building a new police station in the Nov. 6 election. With all precincts reporting, the zoning referendum was defeated by a whopping 3-1 margin, 10,304 (76.5 percent) voting no to 3,159 (23.5 percent) voting yes, with 13,463 total votes. 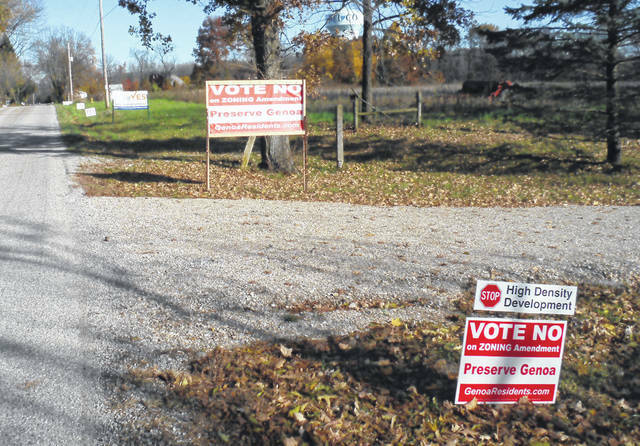 If one had driven through the township prior to the vote and based on seeing the number of signs in favor and opposed to the issue, one might have thought the results would have been much closer. The referendum was to approve the rezoning of 43 acres at 4741 Tussic St. in Westerville to build the Ravines at Hoover, a proposed housing development. The Genoa Township Zoning Commission unanimously rejected the applicant’s plan. However, the trustees voted 2-1 in April to approve rezoning from Rural Residential to Planned Residential Development. Throughout the process, there was outcry from area residents during zoning and trustee meetings. Among their concerns was the high density housing, safety issues, and spoiling land near Hoover Reservoir and the Oxbow Road boat ramp. 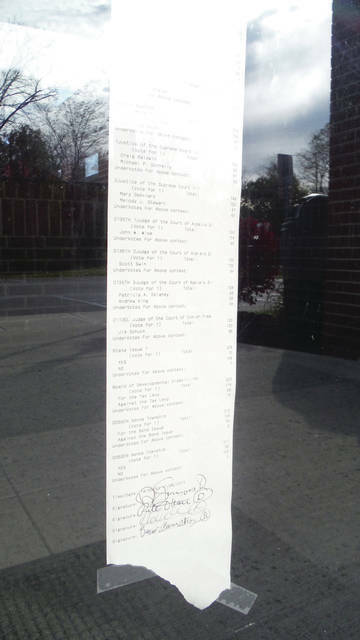 After the trustees’ approval, they got enough signatures on a petition to put the issue on the ballot. Benton Benalcazar, who owns the property, said he was surprised by the results, and that he would evaluate what to do next. The bond issue was approved by more than a 2-1 margin, 9,104 (68 percent) voting for to 4,282 (32 percent) voting against, with 13,386 total votes. The 0.8-mill, 10-year bond will be used for construction of a new police station on Big Walnut Road. The township trustees have already bought land that could be used for the station. Police have been using an old building that was originally used as a picnic shelter. The Delaware County Board of Elections says results are unofficial, with provisional and some absentee ballots yet to be counted.